Now that the car is back from the painters the real work begins. We have the car painted, Motor mocked and and running in a real rough phase just to be able to move it around.... Screw pushing it! We started thinking what do we really want to do with the car?, How much control do we want over it all etc. 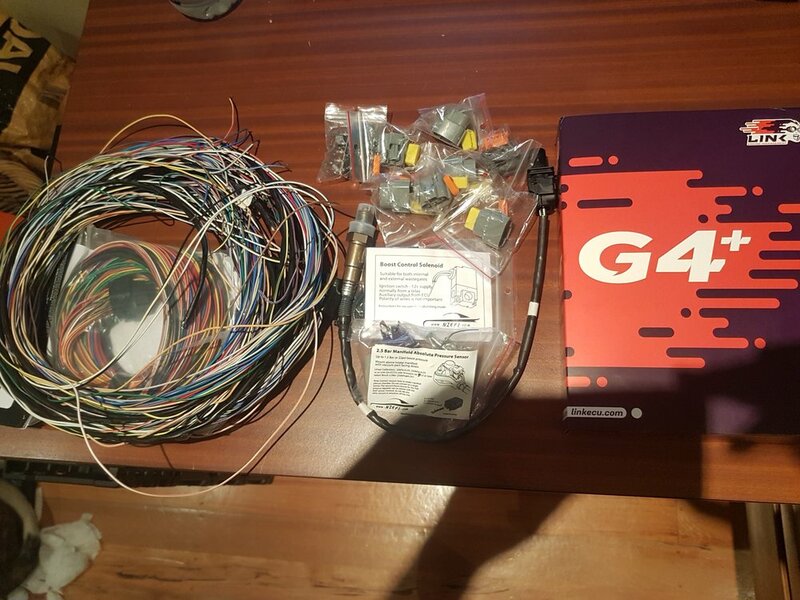 We decided to purchase a Link G4+ Fury from our friends over at the NZEFI Shop! Link G4+ Fury, A & B Looms, Wideband O2, Map Sensor, Boost Solenoid and a new CAS Disk. Older PostProject 32 - Back from the painters!